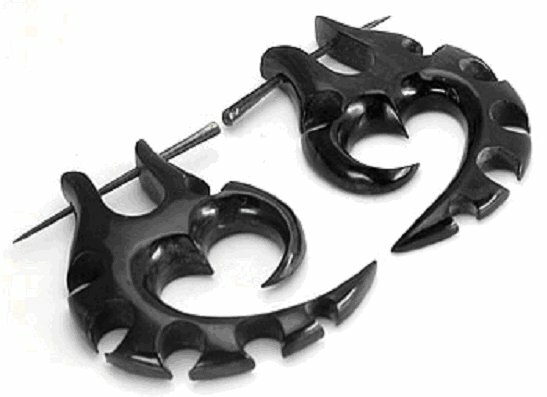 The organic jewelry in the bone and horn sections comes from domestic Indonesian water buffalo. 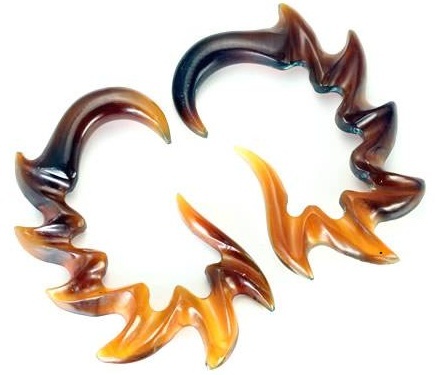 No animals are killed to create this beautiful jewelry. The animals die either from natural causes or for food purposes. In keeping with indiginous culture beliefs that all parts of an animal should be used the bones and horns are made into jewelry. 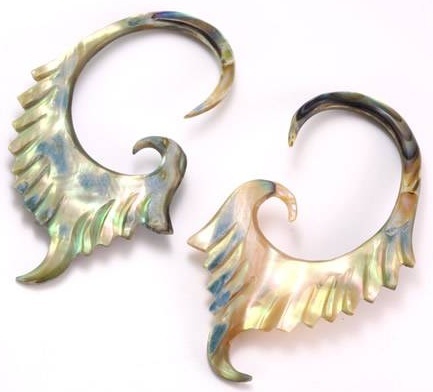 The Mother of Pearl and Abalone body jewelry is made from the lining of shells. The meat is eaten and the lining of the shell is used to make jewelry and other items. The wood body jewerly is made of several different kinds of hardy, durable woods that are harvested from controlled plots. Trees aren't cut down without another tree being planted. 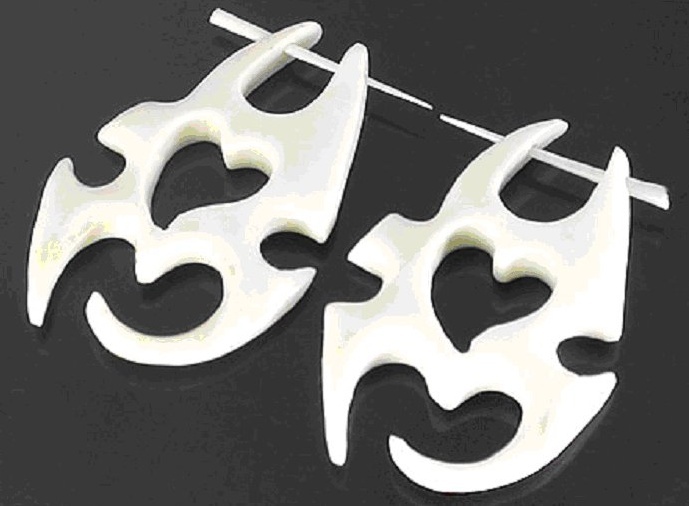 Bone is the ultimate natural / organic jewelry. 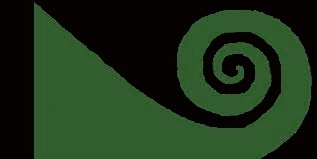 Simple but striking. Golden horn has beautiful natural coloring that is enhanced when light shines through it. 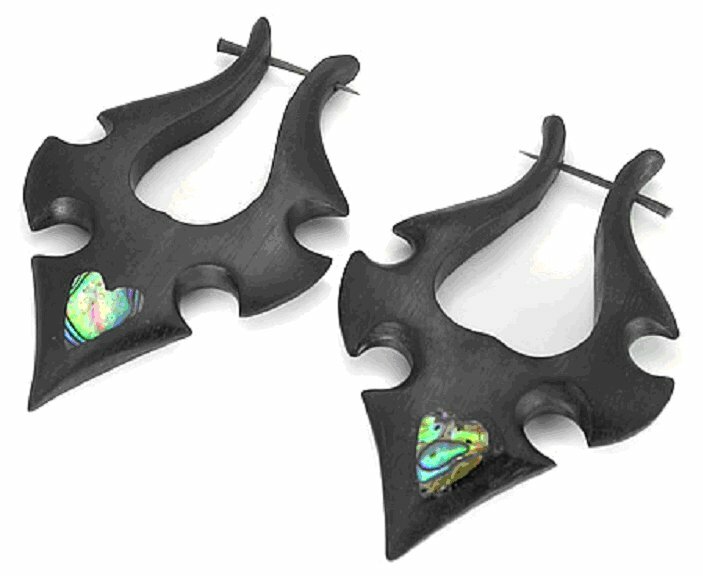 Black horn jewelry has a lustrous shine that looks glossy and sleek. Beautiful, iridescent jewelry that sparkles. 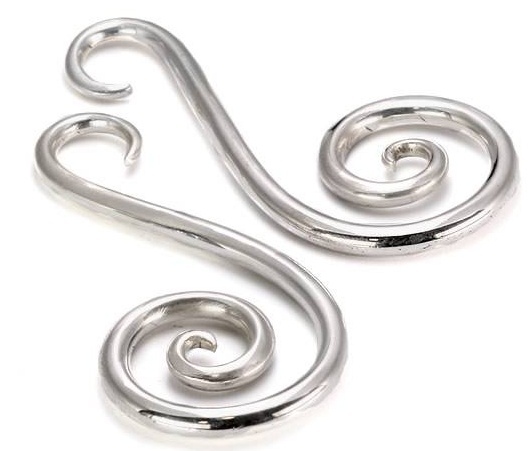 Made of pure .925 Sterling Silver. Contains jewelry of Coconut wood, Areng wood, Saba wood and Coconut shell.